Professor Gentile (Gerry) Tondino, RCA, was born in Montreal, on September 3, 1923, and died on Wednesday, August 29, 2001. A modest man, he was an inspirational teacher and a gifted artist whose early education profoundly influenced his later career. He apprenticed with the Canadian painter Adam Sherriff Scott between 1942 and 1947, and studied for three years at the Montreal Museum of Fine Arts School of Art and Design under renowned artist and art educator Dr. Arthur Lismer. He started his teaching career at the Museum School in 1952, working in the adult and children's programs with Lismer and Audrey Taylor, and he taught the Museum's basic and advanced courses in drawing and painting until 1967. His involvement with McGill began in 1959, when Professor John Bland appointed him to teach freehand drawing in the School of Architecture. In 1973, he was cross appointed to the Faculty of Education, where he taught Drawing and Painting, Basic Design, and studio courses in the graduate program. He taught continuously, without break for leave or sabbatical, until illness forced him to retire in the spring of 1999, and in these four decades of his association with McGill, taught thousands of students in Architecture and Education how to draw and paint. Gerry's influence on the School of Architecture was subtle but pervasive. He taught the freehand drawing course sequence for forty years and the Sketching School program for almost thirty-five; he developed a new course providing opportunities to explore Montreal's indoor environments and he introduced and coordinated a recreational drawing class for students, staff, alumni and friends of the School. Of all the courses we offer, his were for many students the most empowering; students with little or no experience at the start of term found themselves, sometimes only weeks later, with a growing ability to draw that changed significantly the way they saw and thought about the world. His philosophical approach to the teaching of drawing also made him a popular guest critic in our design studios, where his particular insight and point of view were always welcome. His own drawings and paintings have been exhibited widely, in galleries and museums across Canada and Australia, as well as in Belgium and Bermuda. His work is also included in numerous private collections, and in the collections of important institutions such as the Montreal Museum of Fine Arts and the National Gallery of Canada, corporations like Shell Canada, C.I.L., Readers' Digest and the Ontario Heritage Foundation, and of course, McGill University, where nine commissioned portraits grace the walls. In 1955, he was elected to the Canadian Group of Painters, an outgrowth of the Group of Seven; in 1962, he was elected to the Royal Canadian Academy, and in 1968, he was named Academician of that society. When Gerry received the Faculty of Engineering Alumni Award for Outstanding Teaching in 1997, he cited two major influences on his teaching career. The first was, of course, Arthur Lismer, to whom he was always grateful, and the second was the great number of fine students in his courses in Architecture and Education. He wrote that if one were to ask him where he learned to teach, the answer would be mostly from his students. This award was, for Gerry and the School, a timely and appropriate acknowledgement of a long and distinguished career. 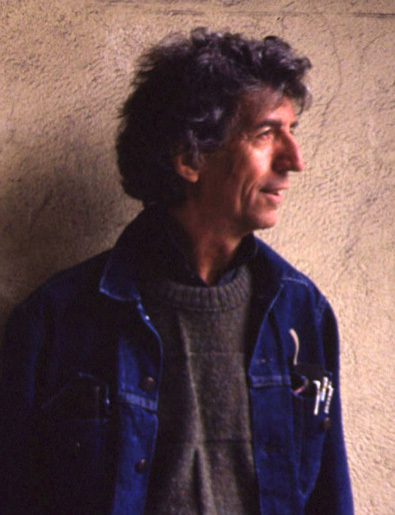 For most who knew him, the image of his perennial jean jacket will remain a symbol of his gentle teaching and apparently eternal youth, confirming the rumours of there being a self-portrait somewhere, probably hidden in a closet in his studio in Ste-Agathe, that was aging in his place. He was inspiring as a teacher, cherished as a colleague and beloved as a friend; he will be missed by his family, and friends and by all of us who were his students. Professor Gentile (Gerry) Tondino died on Wednesday, August 29, 2001, about forty years after he started teaching architects how to draw. He was a modest man, a great teacher and a gifted artist whose early education profoundly influenced his later career. He apprenticed with Adam Sherriff Scott between 1942 and 1947, and studied for three years at the Montreal Museum of Fine Arts School of Art and Design under renowned artist and art educator Dr. Arthur Lismer. He started his teaching career at the Museum in 1952, working in the adult and children’s programs with Lismer and Audrey Taylor. In 1959, John Bland appointed him to teach freehand drawing in the School of Architecture at McGill, and in 1973, he was cross-appointed to the Faculty of Education, where he taught in the art education programs. I took his courses in the late sixties and early seventies, and I have been his student ever since; I also had the good fortune to teach Sketching School with him between 1981 and his retirement in 1999. Gordon Webber and Lismer taught that course from 1942 until Lismer’s departure in 1954, along with Stuart Wilson, who had joined them in 1948. When Webber died in 1965, Gerry joined Stuart Wilson and the two of them taught together until 1981, when Wilson retired from the course. The combination of Wilson and Tondino was both entertaining and stimulating, and the spirited evening discussions they led at Sketching School will remain for hundreds of students some of their most unforgettable memories of their time at McGill. For the last fifteen years or so we were a team of three teaching that course - Gerry, Ricardo Castro and me - and the thousands of miles that we traveled together have taken us to Sketching School sites in five provinces and two American states. That’s a lot of time in the car, but we cherish every moment with Gerry. It’s also where Gerry’s taste in music, not to mention mine and Ricardo’s, was revealed, and it’s where we discovered a mutual interest in the songs and poetry of Leonard Cohen, the other Leonardo, which explains why we selected the song Anthem, from the album titled The Future, for the prelude to this service. It was not unusual for one or all of us to occasionally sing along with the tape, and the fact that none of us could actually sing never stopped us. Gerry’s teaching style was unconventional, if not actually unusual – his successor, Joanna Nash, once characterized it as improvisational, and I think this probably best describes both the teacher and the teaching. In a way, drawing was, for Gerry, an exercise in improvisation; he took his cues from his students, inventing lessons that connected imagination and observation. He believed strongly in the importance of drawing as a foundation for painting and sculpture and did not trust artists who masked their inability to draw with abstract or mechanistic strategies. In an article by Helen Milton about a lecture that he presented in Kingston many years ago, Gerry differentiated between three groups of artists: children, amateurs and professionals. He said that the child tries to express something about life, the amateur tries to paint pictures of objects as they appear in nature, and the professional returns to the approach of the child, striving to express ideas about the world. Gerry’s objective in teaching, his wife Tony has written, was not to train artists but to offer a series of experiences that contributed to the growth of the student’s whole personality, thereby blurring the lines between the child and the professional. Of all the courses we offer, his were perhaps the most empowering; students with little or no experience in drawing at the start of term found themselves, only weeks later, with a growing ability to draw that changed significantly the way they saw and thought about the world. His students will recall that he generally avoided showing them how to draw by demonstrating, or drawing for them. He did of course, occasionally pick up the conté or the pencil, to help them see, but he preferred to guide them, challenging them to think not so much about how to draw water, for example, than to consider the nature of water. He encouraged them to think for themselves, allowing them to find their own voice, long before that expression became popular in Schools of Architecture. Would it be appropriate at this point to say a word or two about Gerry’s relationship with cars and other machines? He used them – he owned and operated a car, for example, although he was one of those souls whose unusually high level of technical competence was compromised by unnaturally high levels of caution. I remember riding with him at a Sketching School in Charlevoix in 1983, when he braked suddenly on what I thought was a clear stretch of road. “What’s wrong”, I said, nervously checking the road behind us. He pointed and said, “There’s a flock of sheep on the road up ahead.” I looked, hard. There were indeed, sheep on the road, a half-mile ahead. He used other machines, a small motorboat in Gananoque, and once, at a Sketching School in Port Hope, we persuaded him to use a bicycle. He surprised all of us with his skill and adventurous spirit, and his occasional precarious excursions brightened our days in that sleepy community. But I don’t think he ever came to terms with the camera. It’s not that he didn’t acknowledge the value of photography, or the work of the great photographers; I think he simply believed that the camera came between the observer and the world, and he was upset by the extent to which we seem to so readily accept the photograph as representing reality. I bumped into him one Christmas in the bookstore of the Museum of Fine Arts. We were watching people leafing through coffee table books filled with high quality reproductions of great paintings, and he was clearly distressed by the ease with which they appeared to accept the images as substitutes for the original. I think that he was genuinely baffled by this, and at the same time a little saddened. On another occasion, on the last night of a Sketching School in Baie St-Paul, Gerry suggested to the class that after a week of intensive sketching they would return to Montreal and for the first few days would see everything in terms of drawing, which, he didn’t have to say, would be wonderful. But then, he warned us, the phone would ring. His awareness of the problem of the ringing telephone seems to be reflected in the first stanza of W. H. Auden’s unforgettable poem Song IX. Gerry’s influence on the School was pervasive. He taught the freehand drawing sequence for forty years and Sketching School for almost thirty-five. He introduced a new course providing opportunities to sketch in Montreal and he coordinated a recreational drawing class for students, staff and friends of the School. He was also regularly invited as a guest critic in the design studios, especially Rad Zuk’s, where his particular insight and point of view were always welcome. When Gerry received the Faculty of Engineering Alumni Award for Outstanding Teaching in 1997, he cited two major influences on his teaching career. The first was, of course, Arthur Lismer, his mentor, to whom he was always grateful; but the second was the great number of fine students in his courses in Architecture and Education. He wrote that if one were to ask him where he learned to teach, the answer would be mostly from his students. The indelible memory of his jean jacket remains a symbol of his gentle teaching and apparently eternal youth, confirming the rumours of there being a self-portrait somewhere, probably in a closet in Ste-Agathe, that was aging while he did not. He was inspiring as a teacher, valued as a colleague and beloved as a friend, and he will be terribly missed.